How To Apply: Eligible candidates apply online through official website on or before 13/03/2015 by 5.30p.m.. When will be the result. when wil be the selection list sir? nanau result ge wait madutiddene result yavaga please…. I am waiting for result. There is no information about selection list. when will be the selection list sir. 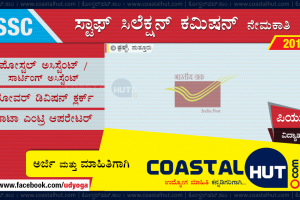 resultge ennu estu samaya kayabeku yavaga result please tilisi…. chikkamagalur va haki 1year ayitu ivaga verification karididare heg sir idu…. 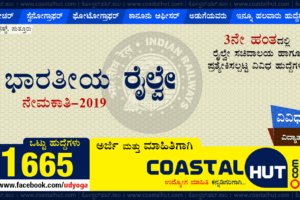 ನಿಮ್ಮ ಹೆಸರು ಪರಿಶೀಲನಾಪಟ್ಟಿಯಲ್ಲಿರುವುದು ಸಂತೋಷದ ವಿಚಾರ. ಅಭಿನಂದನೆಗಳು. 28.12.2015 ರಂದು ಚಿಕ್ಕಮಗಳೂರು ಜಿಲ್ಲಾಧಿಕಾರಿಗಳ ಕಚೇರಿಯಿಂದ ಹೊರಡಿಸಲಾದ ಪರಿಶೀಲನಾ ಪಟ್ಟಿಯು ಅಧಿಕೃತ. ಇದೇ ಪಟ್ಟಿಯಿಂದ ಆಯ್ಕೆಪ್ರಕ್ರಿಯೆ ನಡೆಯಲಿದೆ. Sure. We’ll try to inform you..